The purpose of this page is to make available resources that you can use as part of your own personal initiatives to help keep New Zealand 5G Free – and/or to help family, friends, neighbours and colleagues learn about 5G. This page current includes flyers/leaflets and posters. The leaflet that you can download from the link below will print well in black and white as well as in colour. It can be printed on 4A paper and then cut in half. The flyer below is designed so that you can cut it into 8 pieces and use one piece of paper to inform eight people about www.5G.org.nz in Te Reo. The text alerts people to potential for 5G to damage their health and invites them to visit the website. The flyer below is designed so that you can cut it into four pieces and reach four people with a single sheet of A4 paper. The text of the flyer invites readers to visit the Other Languages page of this website to access information about 5G in New Zealand. Thank you to our volunteer translators who did this work and also contributed to our Other Languages page! The flyer below is designed so that you can cut it into eight pieces and reach eight people with a single sheet of A4 paper. The text of the flyer invites readers to visit the Other Languages page of this website to access information about the health risks of wireless devices. Thank you to our volunteer translator who did this work and also contributed to our Other Languages page! The document that you can download by clicking the link below is designed to provide you with examples of personal steps that you can take to help keep beautiful New Zealand 5G Free. 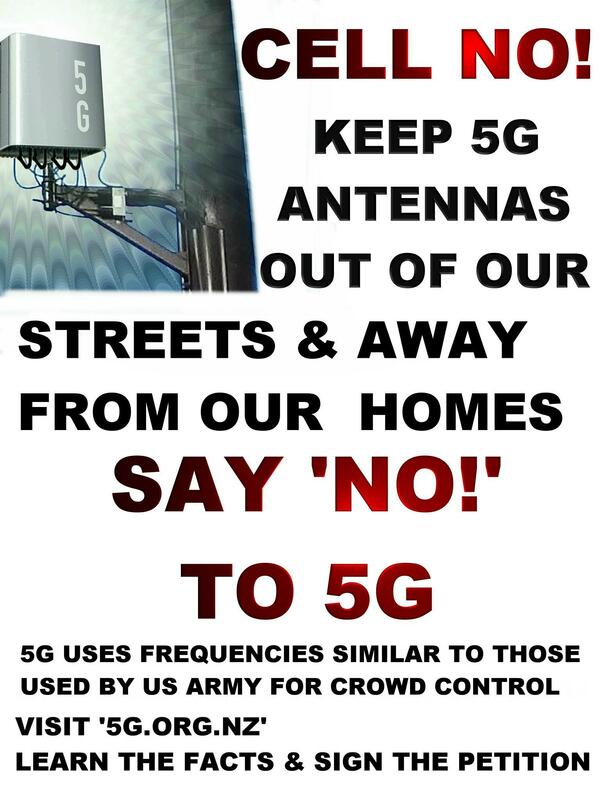 At the link below, you may download the PDF of a poster that advances the vision of New Zealand being 5G Free – forever. 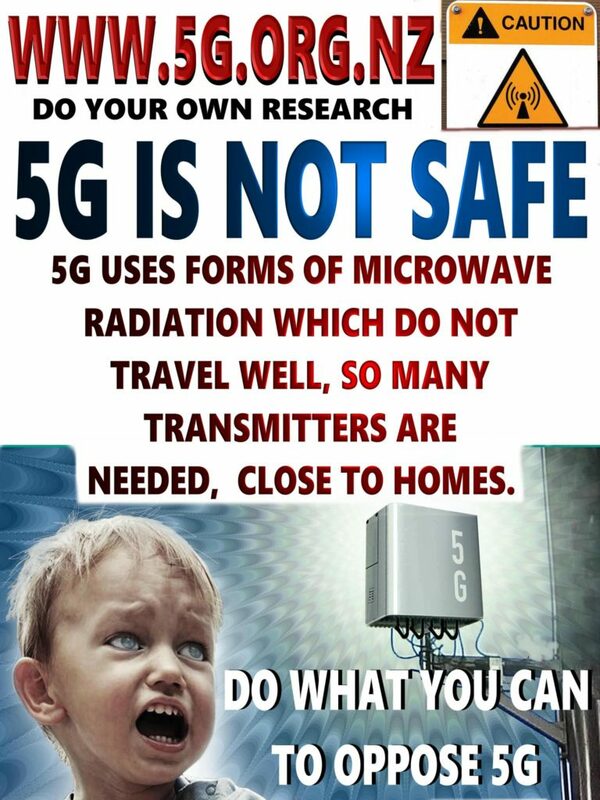 At the link below, you may download the PDF of another version of the poster that advances the vision of New Zealand being 5G Free – forever. 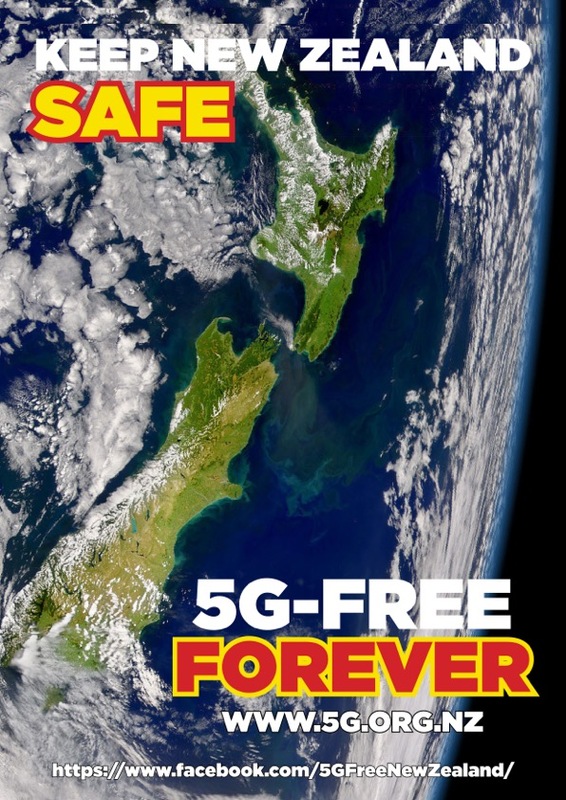 At the link below, you may download the JPEG file of another version of the poster that advances the vision of New Zealand being 5G Free – forever. The poster below is a JPEG file that will print in A4 or A3 size or bigger. NB: If you notice any errors in any of the resources, please email us through the Contact Form and describe the error and we will endeavour to correct it as soon as possible. Thank you.